*I'm not in control of the path and where it goes, it's already been set in place. *Stay in the moment, do not be concerned with things that are not in my path. *Along the paths boundaries between the rocks I found tiny weeds needing to be plucked…and flowers waiting to bloom. *Be observant of the path and repair it when I can. *I cannot change the path or obstructed it but I can leave things along the path for others to enjoy. *Before I left I took a moment to think of what I'd like to leave behind for others. 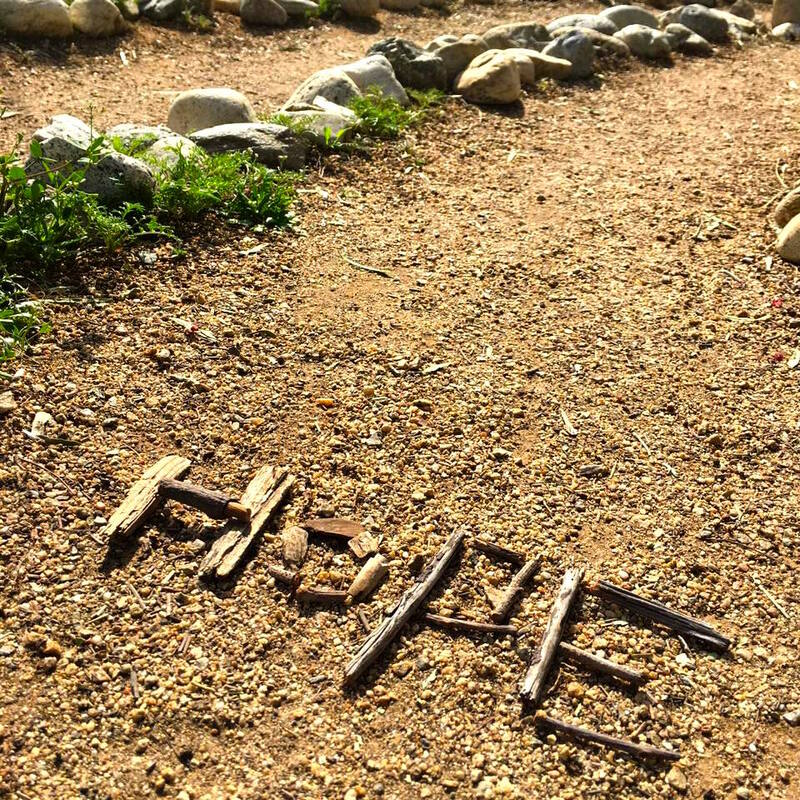 Along the path I left the words....hope, joy and love. The act of kindness left behind for someone else filled me with joy. 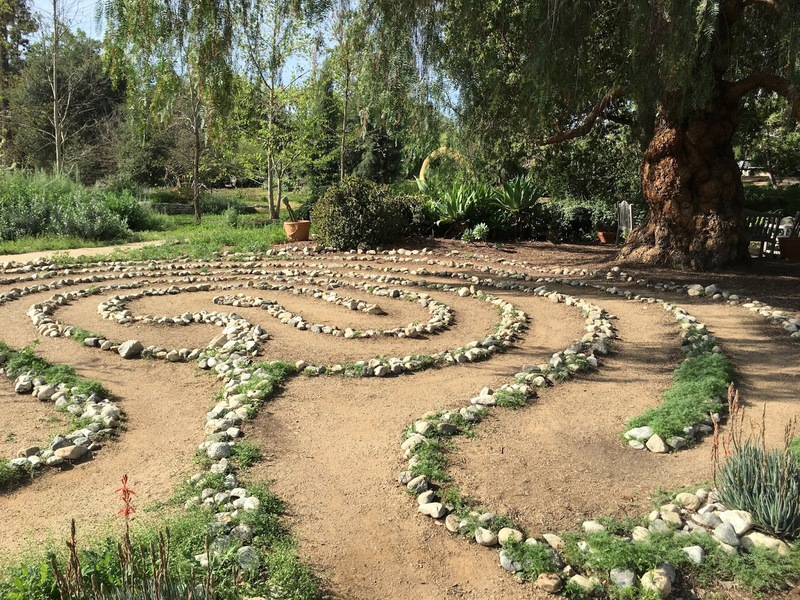 As a fellow labyrinth walker - love your comments / insights!! and gifts of hope, joy and love!! Pam, I like your way of thinking. Thank you for the positive words. By reading your story, you brought me Hope, Joy, and Love, so maybe your words may not be physically still there, but now they are in the hearts and minds of those of us who are blessed by your beautiful intentions. Continue walking in Peace. Very sweet thoughts! So positive amidst the negativity that seems to be everywhere! 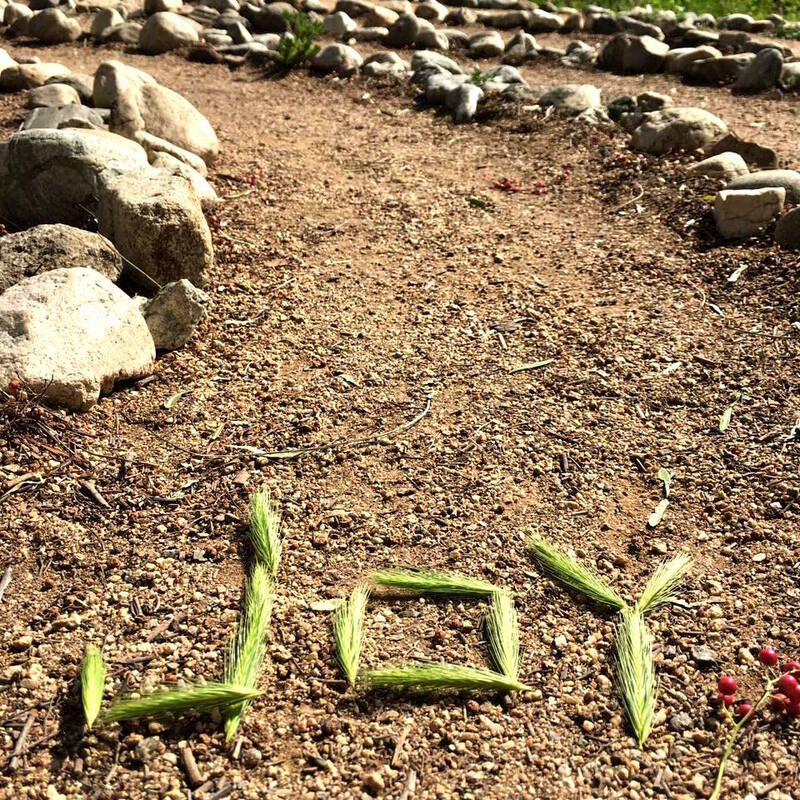 When I saw your work there, it reminded me of Andy Goldsworthy's. It's all made of natural elents and is expected to be temporal. Some fades much faster than others. There is a documentary of it called Rivers and Tides. I meant " natural elements"! Hi dear Brenda, I am just going over Sketchbook Skool's Seeing that I took over a year ago and wanted more of you! Came here and saw your post. I am a practioner of Tibetan Buddhism. I've been priveledged to see sand mandalas created meticulously over several days. After a short period of practice the mandala is swept with an eagle feather and the sand taken to the ocean.as a playwright and director it reminded me of takedown day after the run. Some folks would be bereft but I loved seeing that bare stage and imagining how full of actors, props and words it had been only the night before. Sunrises are more beautiful fo their ephemeral quality. Oh Brenda I loved this post. You may remember that my blog is called "An Artist's Labyrinth" because they are such a metaphor for living life with "attention" and thoughtfulness. A few weeks ago in central FL, my daughter (who is a labyrinth facilitator from WI) and I walked 3 different ones in our area. She made me my personal labyrinth up in WI at our cabin by a lake. Perhaps the words disappeared only because they were "used" by someone and the needed to take them with them. Ginny, that's a nice way to look at it. Thank you so much for sharing this. I am amazed at how paths cross. When we need something in our lives it is placed there, all we have to do is to be open to the Universe and the Universe will deliver. I love the Labrinth!!!! Before your words were swept away, for what ever reason, the message would have been received by who ever needed it. That is my way of thinking so don't ever stop delivering Hope, Joy and Love. Even by posting the photos here on your page, the message will be received by those who need it. Dale, Thanks for the words of encouragement.